As some of you know, a few owners have had problems with their equine insurance with NFU, with some claims for rehabilitation here being refused or delayed. Many policies include cover for "alternative therapies" and in most cases, provided your vet supports a horse coming here (and we can't take them without vet consent anyway!) then part of the costs of rehabilitation can be reclaimed. However, there has been a long-running complaint in with the Insurance Ombudsman against NFU which was brought by Rose's owner, Catherine. Rose was here in 2010 and its taken nearly 2 years to get the final decision but at last its here - and its very good news! If any of you rehab owners need the key paragraph of the Ombudsman's decision, its on the Rockley Rehabs forum or you can email me for more info. 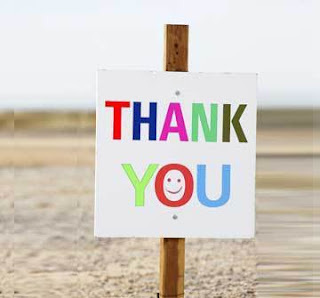 I'd like to say a massive thank you to Catherine, who has slogged on with this claim for the best part of 2 years, who has refused to give up and who has really blazed a trail for all the other owners who have sent, or want to send, their horses here. [For those of you who are new to "celery", there is an explanation and lots of additional info here. Please read this link if you haven't already done so!]. Once upon a time there lived a good horse who had been working barefoot a long time. 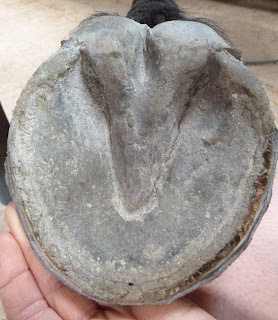 The good horse was sold to a new home where she lived with a very conscientious owner who knew that all horses' feet need a lot of care and attention, whether shod or barefoot. The owner carefully monitored her horse's diet, exercised her regularly and did her best to ensure that the horse had all she needed to keep her hooves healthy. 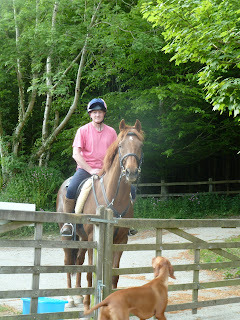 After a few weeks, the owner - who was very conscientious - booked a trimmer to come and see her good horse. 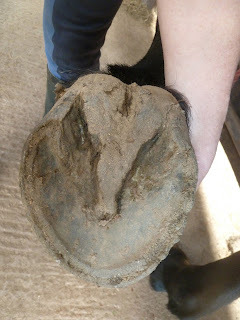 The trimmer took great care to watch the horse move and took photos of her feet. After the trim, the horse was a bit footy and the owner asked me whether this was ok. 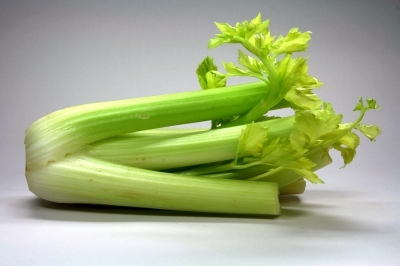 I said, not really, but talk to the trimmer and tell him about this. Next time, perhaps he will either trim differently or he may decide (since the horse is in regular work) that she doesn't need trimming at all. The owner was unhappy that her horse had been footy but, as she was very conscientious, she booked the trimmer to return in a few weeks. After the next trim, the horse was again footy. This is the tale of 2 trimmers, both of whom lived in a land far, far away. There came to this land a princess with a beautiful horse - who was barefoot, naturally. 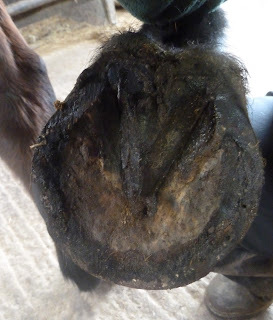 This horse had overcome hoof problems early on in her life and had gone on to great things, amazing everyone with her high performance hooves. 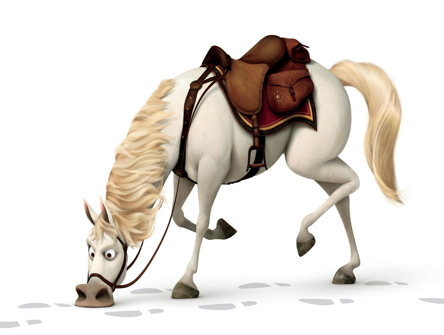 The only strange thing about the beautiful horse was that her feet didn't look perfectly symmetrical. The princess - who was another very conscientious owner - wanted to do the best for her beautiful horse and of course she wanted the best care for her high performance hooves. So she called on a trimmer, who was very interested in the beautiful horse and carefully examined her high performance hooves. 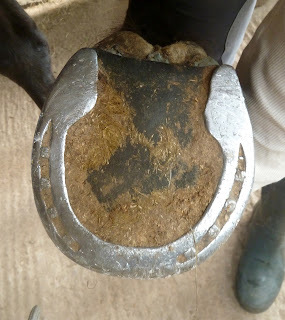 The trimmer asked all about the problems the horse had overcome and noticed that her feet were not symmetrical. 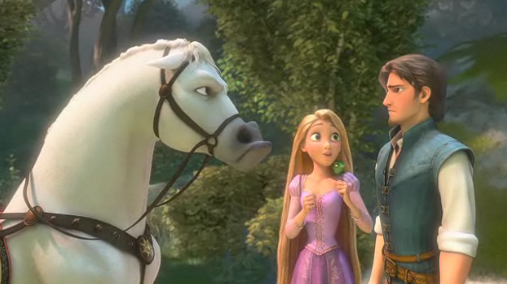 This bothered the trimmer and she told the princess that she wanted to re-balance the horse's feet. The princess, mindful of the problems her beautiful horse had overcome, and mindful of how well she galloped on her high performance hooves, said to the trimmer, no, you may not re-balance those feet. At this, the trimmer grew angry and said, woe betide you if you don't let me trim as I wish - leaving those feet as they are will bring nothing but trouble. The princess was brave and knew she should listen to her horse instead of the trimmer so she sent the first trimmer away. But still she wanted the best for her beautiful horse and the best care for her high performance hooves. So then she called on the second trimmer. The second trimmer was also very interested in the beautiful horse and he also carefully examined her high performance hooves. 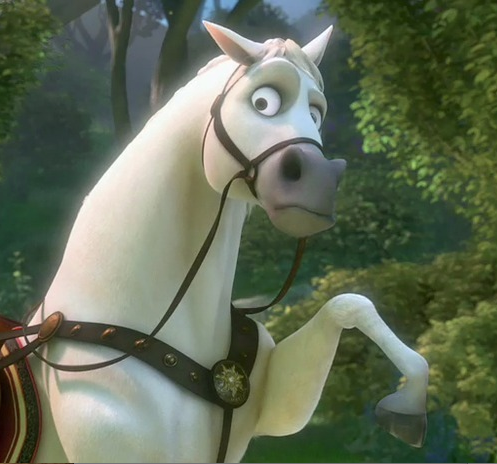 He too asked about the problems the horse had overcome and he too noticed that her feet were not symmetrical. But then he looked further. He looked at the whole horse and he saw that the beautiful horse's limbs required asymmetric hooves in order to load evenly, and that in fact - far from needing to be "re-balanced" they were already perfectly balanced for the limbs above. He understood that this was how the beautiful horse had overcome her earlier problems and that this was why she galloped so well on those high performance hooves. Of course, the second trimmer had no need to "rebalance" the feet; instead he looked again at the whole horse and talked wisely with the princess about how best to care for those high performance hooves. And they all lived happily ever after, even the first trimmer, who finally realised how important it was to look at balance from the horse's point of view. Bailey G went home yesterday and its time for his "recap" post. Bailey arrived in the middle of February wearing bar shoes and with a diagnosis of pedal osteitis and navicular bone damage. On a hard surface he was 2/10 lame LF and 3/10 lame RF. The photos throughout show his RF. Above in February, and below today. The most interesting aspects from this angle are the much healthier hoof capsule growing down in the lower shot and the fact that he has more depth to the back of his foot and a less under-run heel today. The caudal shot shows the contracted heels and digital cushion and the weak frog typical of a hoof in bar shoes. You can also see from this angle that the medio-lateral balance is off - the hoof wall is collapsing on the medial (right-hand) side and is overly long on the opposite side. 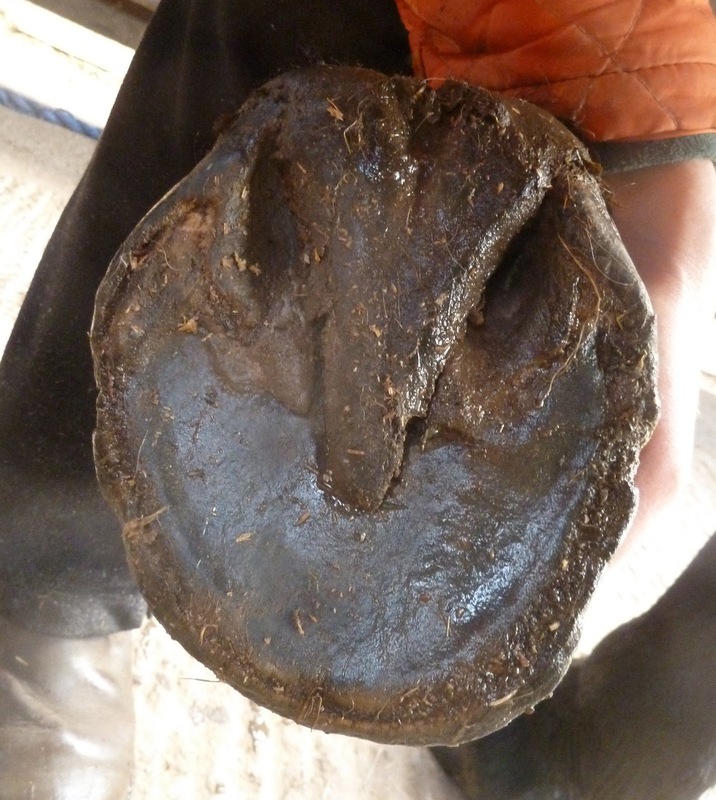 Contrasting the same hoof today, there are improvements in frog, digital cushion and hoof walls. Nevertheless this is still a foot with a relatively weak frog. its much better than it was but still needs to "beef up" even more. The medial side of his foot is also improving but still has a way to go. Bailey will need consistent work in order to maintain and improve his overall hoof health and strength. 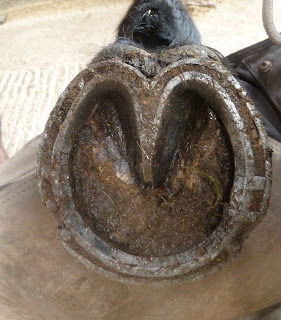 Here is the bar shoe at day one and a few days after his shoes came off, below. Out of the shoe, you can see that the heels are under-run and the frog weak. Over the subsequent photos, its interesting to look not only at how the frog develops and the toe shortens, but also at how the heels migrate back to be much more supportive and less under-run. 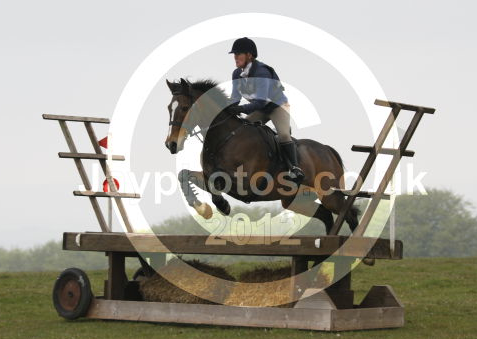 Compare the heel position in these photos - more stable and in a much healthier position by the time of the lower photo. His foot is a more balanced shape too, although there is still some separation at the lateral side as his foot shifts towards better medio-lateral balance. 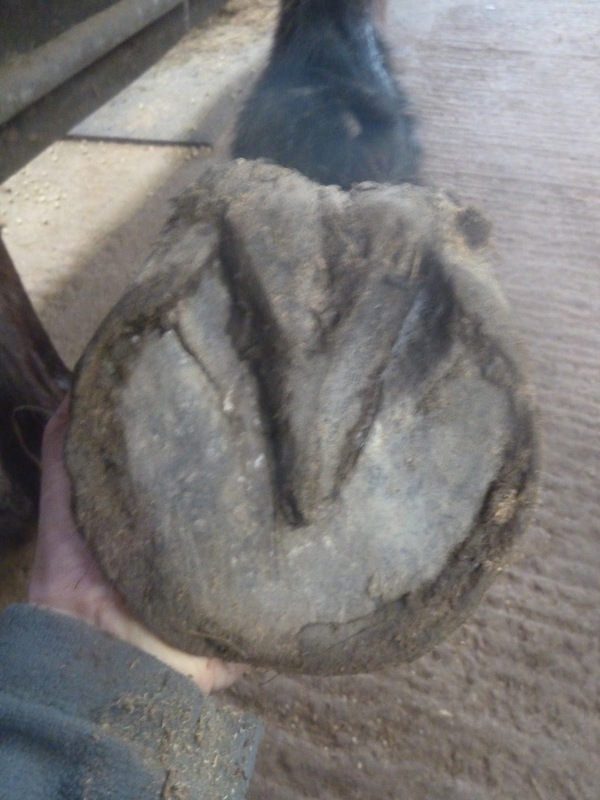 Bailey's hoof pics caused some chuntering on the internet about trimming, and what they apparently required by way of human intervention. The answer of course is that they didn't require trimming - and its certainly not trimming which moved those heels back to a better position or improved his frogs and digital cushion. I have trimmed him, but only to roll the lateral hoof wall, and only on his last day so he went home tidy! 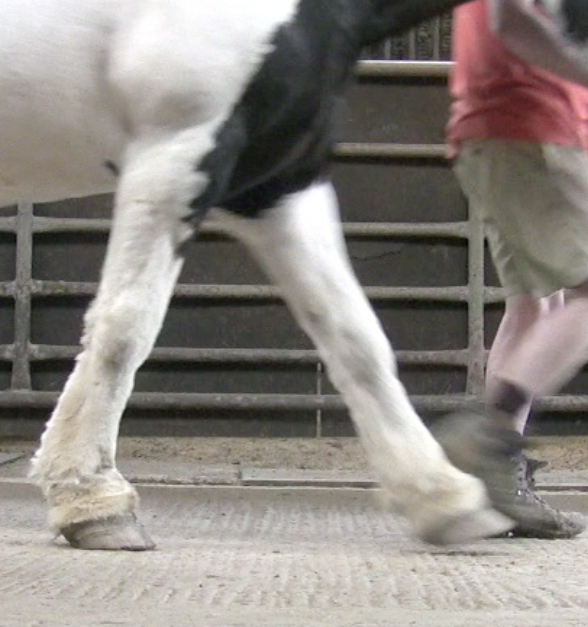 A couple of quick stills finally to give an idea of his stride length - not as dramatically extended as Dom's was, but a slight improvement even though he has not yet got the most robust hooves in the world. This time last year saw the arrival - or more accurately the return - of Dexter. In fact its not just a first anniversary for him but also a fourth anniversary. He is a TB eventer who first graced the yard as a rehab horse in 2008 and June 2008 - almost exactly 4 years ago - saw him leaving Rockley to go back to Tavistock. These photos were taken then, shortly before he went home, when Kelly jumped him for the first time after his rehab (we didn't tell her Mum til later!). Not bad, we thought, for a horse who'd had a DDFT injury and had been given only a 5% chance by his vets of returning to ridden work. In fact, Dexter's vet was fantastically supportive and so interested in his recovery that he set up the meeting with Prof. Peter Clegg which inaugurated Project Dexter - the research project which now maps every rehab horse who comes here. 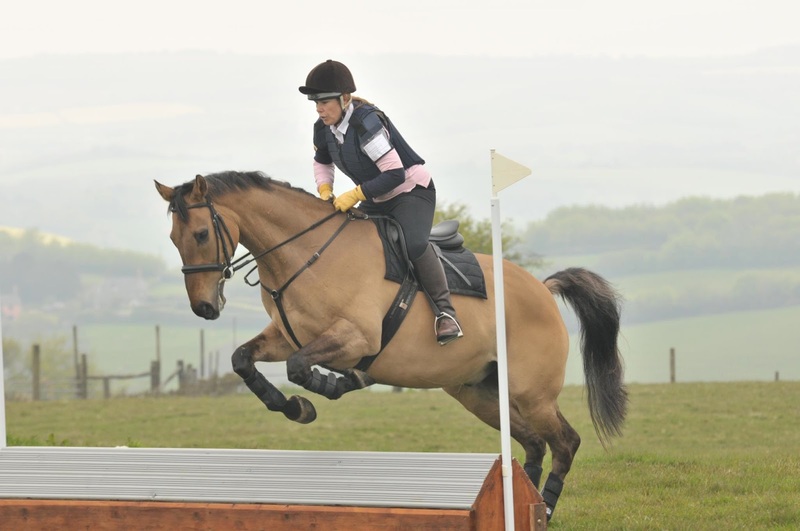 Dexter and Kelly spent the next 3 years competing in showjumping, dressage and XC until Kelly's new job with BA meant she had to go flying round the world and leave Dexter in Devon. So last May bank holiday Dexter came back to Rockley as a permanent member of the team - and that of course meant that he became a hunter. This photo was taken on his first day and he discovered pretty quickly that he absolutely loved it! Dex only hunted lightly through the winter because the weather was atrocious and the ground bottomless - both of which he hates - but he nevertheless completed about 20 days (I think! 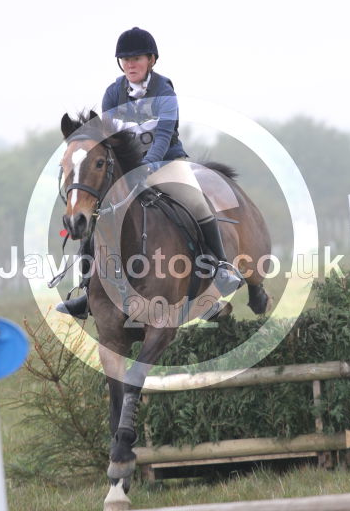 ), including the Christmas Eve meet and the last day of the season, when he was on terrific form. Dex has also demonstrated his puzzling hooves on the blog - the extraordinary shape isn't due to him being a rehab horse but a compensation for a shoulder injury which happened when he was jumping XC 18 months ago; as you can see it doesn't hold him back - quite the reverse. 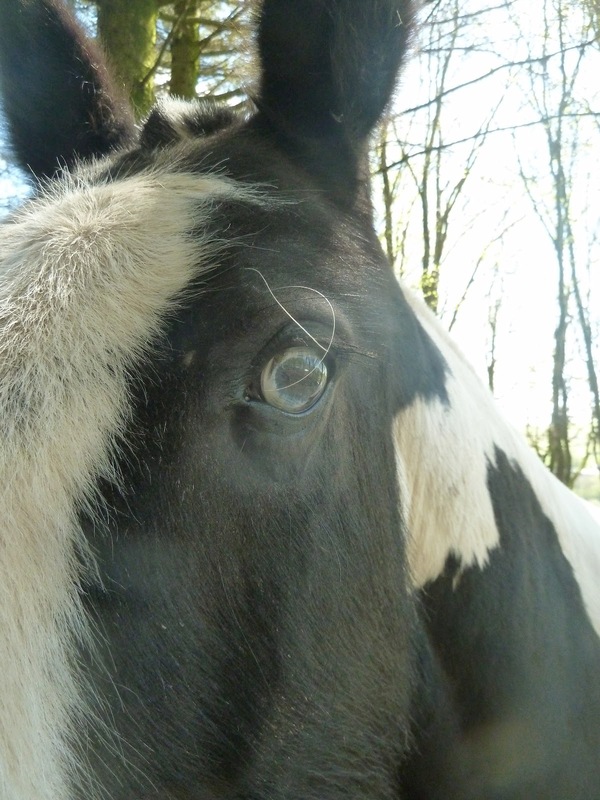 Since hunting finished he has been working hard taking out rehab horses, as well as catching up with Kelly - he is a horse who needs to work regularly in order to maintain the strength of his caudal hoof and that means lots of roadwork, which is critical for him. Most recently, as an eventing schoolmaster who has been there, done that and got the t-shirt Dex has become Andy's first choice for jumping XC. So far they have gone clear round the Treborough mini course and popped our jumps at home but with both Kelly and Andy queueing up to take him XC I think he will have a busy summer - I am sure there will be more photos of Dexter soon! I had to add these photos just for a bit of Friday fun - they were taken last Saturday when we all went up to Treborough to have a blast at the Chipstable Hunter Trials. You've got to love the pocket rocket - he hasn't jumped at all - not even a stick - since September last year and he goes out and flies clear, loving every minute of it. He's so genuine that even on corners and skinnies all you need to do is line him up and he does the rest - he locks on like a guided missile - awesome! Domino has - amazingly - been here 12 weeks. He'll be going home soon and it won't seem the same without him. Everyone who has met him remembers him - I'm not sure whether its the moustache, the fuzzy-felt facial hair, the blue eyes or the amazing contrast between his apparently lazy appearance in the barn and his Energizer bunny mentality when he is out and about, but he is certainly unique! ..by comparison with today - a more definite landing, better extension in the swing phase of the stride and evidently more comfortable and better able to shock absorb. Although his heels look lower out of shoes, they are actually stronger. A quick update as my computer is being rather sickly today and felt horribly on the verge of crashing and losing everything, which it did this time last year, to my horror. Supposedly everything is now backed up but it still worries me...Just time however for comparison photos of Eva, which I promised Amy I would post. Last time I put up shots of her RF, which is her worst foot, so for a change I thought I would show you the progress on her better foot - LF - today. Isn't it interesting how overall balance changes out of shoes? Draw an imaginary line round the hoof capsule (including the shoe) in the top photo then do the same on her hoof as she is today. It makes it easier to visualise how much shorter the toe is and how much less boxy the foot is overall. Eva is making relatively slow progress but - as we know from her MRI - she had a severe DDFT tear so that perhaps isn't surprising. 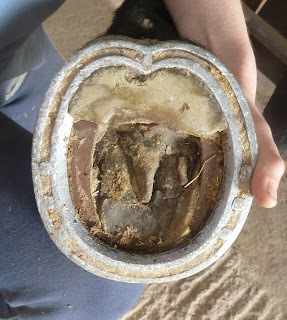 However, its good to see the better angle of the new hoof capsule which is always an encouraging sign. Keep going, Eva - you'll get there! These feet belong to new boy Abbey. He is a properly multinational horse - born in Ireland (he is a registered Connemara) owned by a Scot, living in France and now here on Exmoor for rehab. Here he is once his shoes came off, meeting Felix and Charlie for the first time. Luckily he has arrived in wonderful weather, making the transition from France less of a shock! Here are his feet before his shoes came off. He has been diagnosed with sidebone by his French vet (who to my relief is perfectly fluent in English and -more importantly - supportive of Abbey coming here). Abbey was shod in remedial shoes in France, with pads and "onion" shoes. As always, there will be more shots of his feet in the next few weeks. Its just started to feel as if summer might be arriving, and its been a busy weekend, and not just at Rockley. New boy Abbey arrived last night, all the way from France and I will have a post about him and updates on the other rehabs over the next few days. Patsy, who went home last year was best mates with Ginger while she was here. Perhaps he emailed her about his showing success last weekend, because Hannah sent me this clip from the weekend - jumping again for the first time! Another pair who were out adventuring on Saturday were Lainey and Bailey W, who followed up their xc training at camp last week with at day out at Treborough, our nearest BE course. 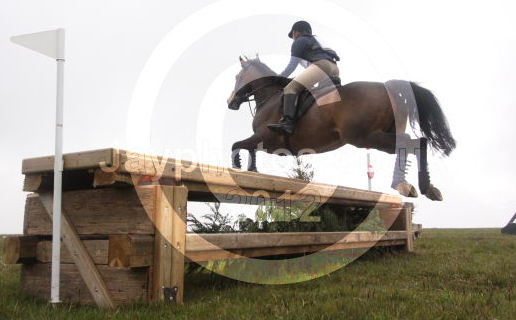 Despite never having jumped a full course of xc jumps, Bailey really enjoyed himself and got so much more confident that he went clear! Just a quick post to let you know that the Laminitis app which I blogged about back in March is now available not just for iPhone but for Android too. Of course, its not the only way to tell when you grass is at high risk and it can only form part of a whole management plan but it is a very useful tool, particularly if you need to demonstrate to a yard owner or sceptical friends that actually being turned out in a lovely green field at 8am isn't the best option for your horse(!). 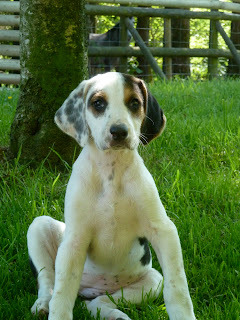 and Nutmeg, our hound puppies from last year. and he and his sisters spent their first few days here under the watchful eye of Samuel. "Tell you what - I'll practice my ear spinning..."
Fiver thinks maybe he should just stick close to those in the know and make sure his name is on the list! He's turned into such a handsome chap, after all though it will be hard to tell him and his brothers apart out on the moor. Here come the girls - gigantic and gorgeous - Nettle (on the left), Nutmeg (jumping up on the right) and their very smart sisters, Nectar and Napkin. Roll on the next season, 2012-2013! "...or, alternatively, shoot the horse."